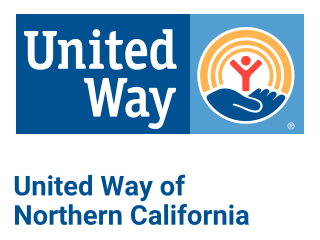 United Way of Northern California offers programs and resources that help young people build better lives. 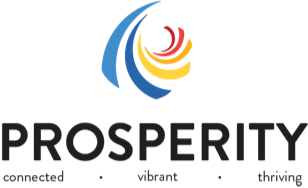 We are able to provide these high quality programs due to the strong collaborations and working relationships developed over the years with school districts, governmental partners, nonprofit agencies and the private business sector. It is our goal to build a strong and stable community by preparing our youth for the future. If you have thoughts of suicide or don’t know where to turn for any type of issue, help is available 24/7! Don’t delay, find the support that you deserve now. No upcoming events. Click to see all news. Every child is different; they each come with unique blessings and challenges. For the moments that mystify parents, 2-1-1 is here. We are dedicated to providing resources that connect families to information, experts, programs, services, social linkages and more. The first step in getting information is as close as a phone call or click away. United Way of Northern California works with companies, governments, nonprofits and other organizations to address complex challenges. We are grateful to the many funding partners whose support has allowed us to build and maintain 2-1-1 Shasta and would like to extend our gratitude for all that you do. We simply could not do this work without you – Thank You! 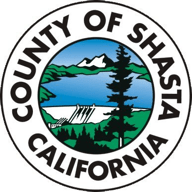 Shasta County: Shasta County Health and Human Services Agency offers an array of services, from CalFresh (formerly known as food stamps) and employment training, to counseling and immunizations. Our vision is for every person to enjoy a safe, healthy and productive life. Shasta County HHSA strives to help local residents in an integrated way with the variety of social, physical, and behavioral health challenges they face. This is achieved through better collaboration, integration, access and flexible funding. Dignity Health Redding: Founded in 1986, Dignity Health’s goal is to create an environment that meet each patient's physical, mental, and spiritual needs. They are committed to delivering compassionate, high-quality, affordable health services for all. Through teamwork and innovation, faith and compassion, advocacy and action, Dignity Health endeavors to keep patients and staff happy, healthy, and whole. First 5 Shasta is building a pathway to success for young children by making smart investments in early childhood. Since First 5 Shasta was established, they have invested more than $25 million in local efforts that have made a steady impact on systems change as well as creating, improving, and expanding programs for health care, developmental screenings, obesity prevention, quality child care, preschool, parent education, family support services, and early literacy. First 5 Shasta focuses on educating parents and caregivers about the important role they play in their children’s first years. We actively engage in partnerships and fund programs, services, and activities that support optimal child development and healthy children, who are ready for school. Help Me Grow is a First 5 system. It is funded by First 5 Shasta and Dignity Health Medical Group – North State. Can’t find the services you need? 2019 211 Norcal. All Rights Reserved. cirlce square Created with Sketch.